The Septer offers Ferrum Forge's smoothest flipper to date with a titanium frame lock handle in four handle variations. It has a sleek, aggressive look in the open and closed positions, with a more compact, gentlemanly frame. 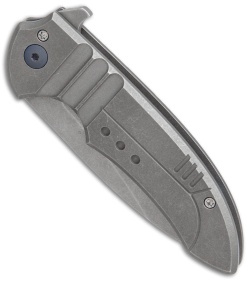 The utilitarian drop point blade maintains a continuous arc throughout the knife creating a clean, balanced look. This Septer model has a gray Mech handle and a stonewashed blade. CPM-20CV blade steel provides a hard durable edge with excelent corrosion resistance. 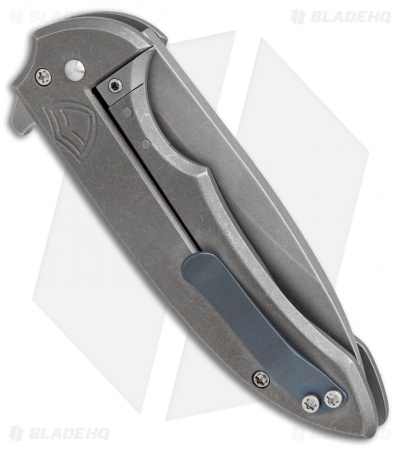 Frame lock handle with an over-travel insert offers rock solid blade lock up. HRD ceramic detent and caged bearings provide buttery smooth and fast blade deployment. Coming Soon... Photos, Specs and description are subject to change. An absolutely fantastic blade. Very thin behind the edge makes this an amazing slicer despite a thick blade stock. 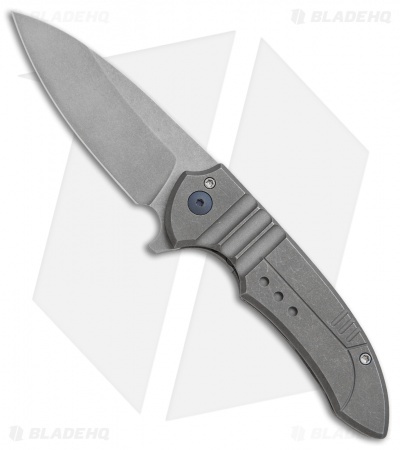 4 oz weight and relatively thick handle makes it feel very substantial in the hand. 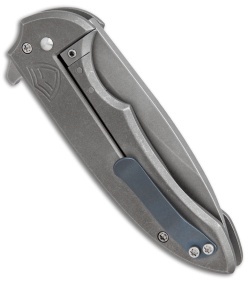 If you want a knife that carries like a small knife but feels like a solid larger knife in the hand then this is it. It hits the sweet spot when bigger knives feel too big and small knives feel too thin, light , and small. Flawless fit, finish, an ergos. Well worth the $. Small sebenza won't get much love now.